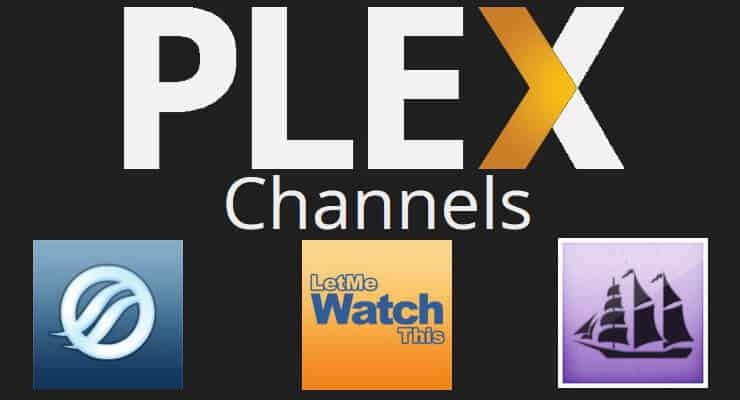 There are 3 Plex Unofficial Channels that in my opinion are the best Plex Channels. These of course are not the only unofficial Plex Channels available but they should be considered along side any other channel you install. If you are looking for a list of Plex Channels, you can visit the Plex website for more information. The Icefilms Plex Channel lets you browse many Movies and TV shows available to stream online. You can search, view the library alphabetically, show latest releases, or the most watched items. The Icefilms Plex Channel can be downloaded from GitHub. The Let Me Watch This Plex Channel has much the same functionality as Icefilms but often will have different sources than Icefilms. This means if you can't get a video from the Icefilms Plex Channel, you can try Let Me Watch This and see if there is a different source there that will work. 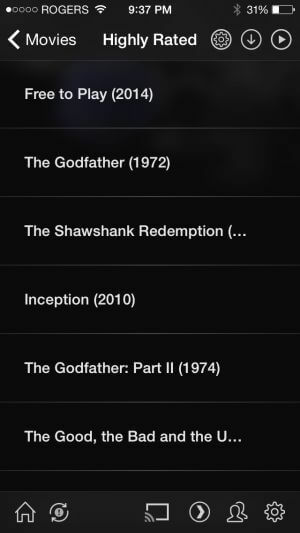 The Let Me Watch This Plex Channel can also be downloaded from GitHub. 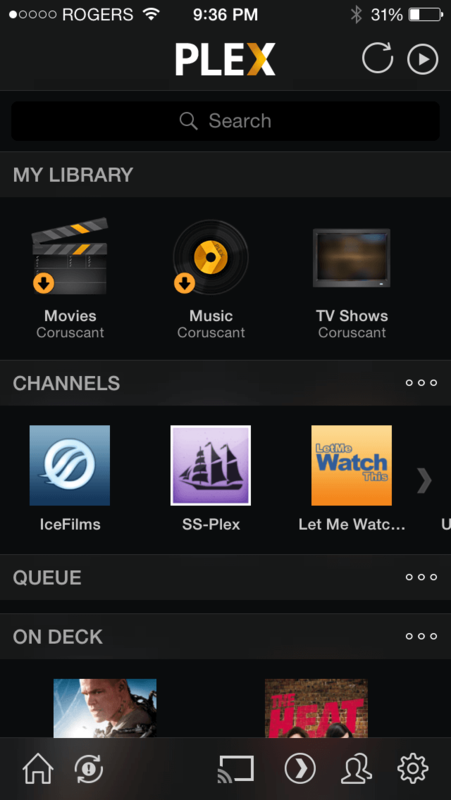 Installation of Plex Channels is pretty straightforward and these steps will work whether you are installing one of the recommended channels above, or any other Plex Unofficial Channel. These steps are specifically for a Windows based system, but the process should be similar with other operating systems. After you have downloaded the channel you want, unzip the file to a location which is easy to access on your Plex server system. You can use WinZip or 7Zip or a similar program to do this. Locate your Plex media server plugins folder. The easiest way to do this is to click the Plex server icon in your system tray (bottom right of screen, next to the date and time) and click “Open Plug-ins folder”. In the Plex Plug-ins Folder you will notice many folders which end with “.bundle”. 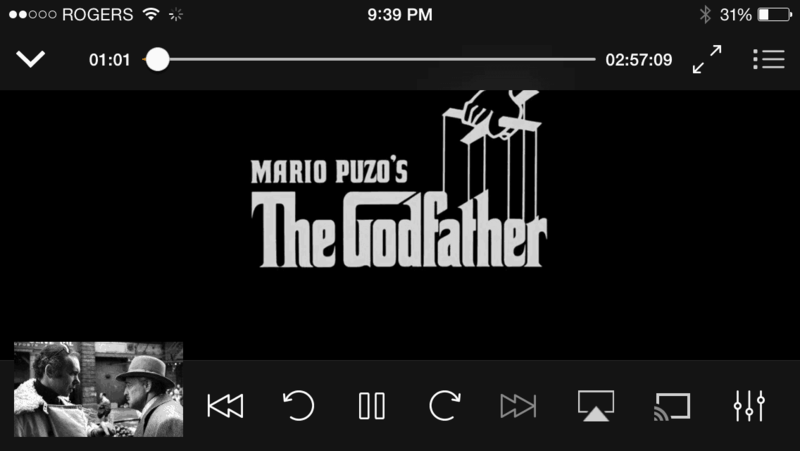 You will also notice when you unzipped the your Plex Channel, that a folder with the same “.bundle” came out of there. 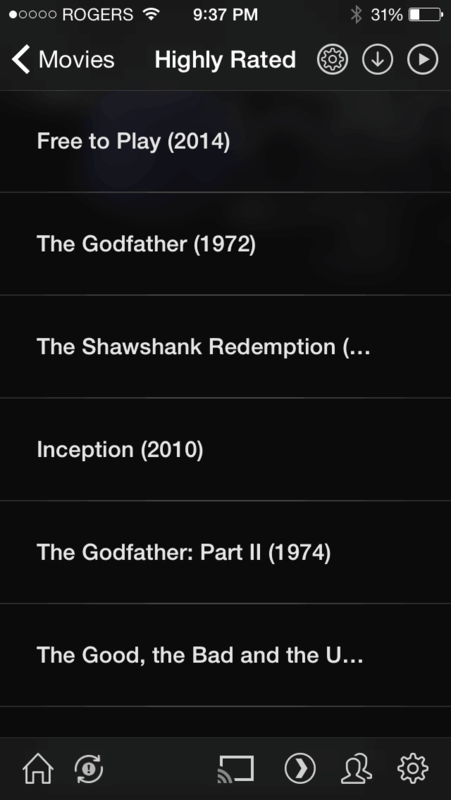 Now you simply need to copy the folder with the “.bundle” to the Plex data plug-in folder. You will need to double check that your folder name doesn't end in a “-master” or “-stable”. 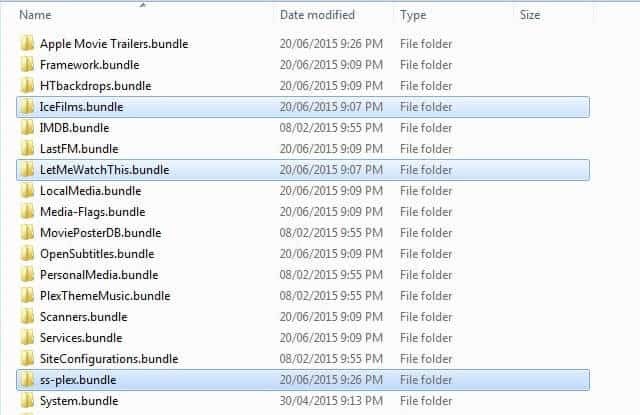 It should just end with “.bundle” and nothing else (as shown in the image above). That's it! When you go to the channels screen on your plex server you should now see the channel(s) you've installed, similar to the image below. There may be others and if you're aware of any please post in the comments. Plex has stated that they are working towards including this functionality on these devices but a this time a timeline has not been given. Despite not being available on these platforms, installing the best Plex Channels on your server will provide you access to a wide assortment of content after you've setup Plex addons like Kodi. How to Install SuperRepo on Kodi for easy addon installation? Guide: How to install Kore remote app for Kodi?